When I’m not trudging around in a swamp, mixing up chemicals in a lab, writing something on a computer, or partaking in one of my many hobbies, I enjoy my fair share of TV. 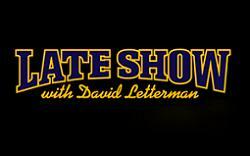 Last night I was staying up later than I should and was watching The Late Show with David Letterman. 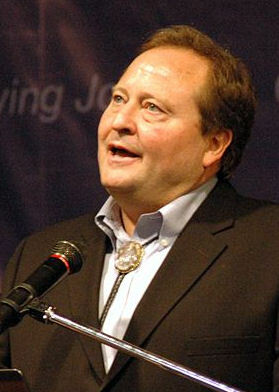 His guest was Governor of Montana Brian Schweitzer who seems to be on some tourism promotion tour in the New York area for Montana. You might ask: “what does this have to do with soil science?” Well, in the video of the interview below towards the beginning, Gov. Schweitzer talks about his education and receiving a BS in International Agronomy from Colorado State University, and an MS in Soil Science from Montana State University. He then went on to talk about some international projects that he worked on following his education, including an irrigation project in Libya, building the world’s largest dairy farm in Saudi Arabia, and how the Saudis went from a food importer, to a food exporter over the course of 7 years. For those soil scientists and agronomists out their, I’d definitely recommend listening to at least the first 3 minutes of the interview. It’s great to hear what we do be discussed on a TV show with millions of viewers. I don’t plan to ever become political in this blog (except in the defense of science and science funding when needed), but I was impressed with the governor… but again I might be biased being that he is a soil scientist after all. This entry was posted in Found on the Internet, In The News, Popular Culture and tagged Brian Schweitzer, Colorado State, International Agronomy, Montana State, soil science. Bookmark the permalink.